The FBI has learned of more emails involving Hillary Clinton’s private email server while she headed the State Department, FBI Director James Comey told several members of Congress, telling them he is reopening the investigation. The FBI director cautioned, however, that the bureau has yet to assess the importance of the material, and that he doesn’t know how long that will take. “I’ve now seen Director Comey’s letter to Congress. We are 11 days out from perhaps the most important election of our lifetimes, voting is already underway — so the American people deserve to get the full and complete facts immediately,” the presidential candidate said at a press conference during a campaign event at Roosevelt High School in Des Moines, Iowa. “The director himself has said he doesn’t know whether the emails referenced in his letter are significant or not. I’m confident whatever they are will not change the conclusion reached in July [when FBI decided against prosecuting Clinton due to lack of grounds]. Therefore it’s imperative that the bureau explain this issue without any delay,” Clinton stressed. Following the FBI investigation and interviews with Clinton in July, it was decided she will not be prosecuted as there was not sufficient evidence to indict her. James Comey at the time called Clinton “extremely careless,” but said there were no grounds to prosecute her. 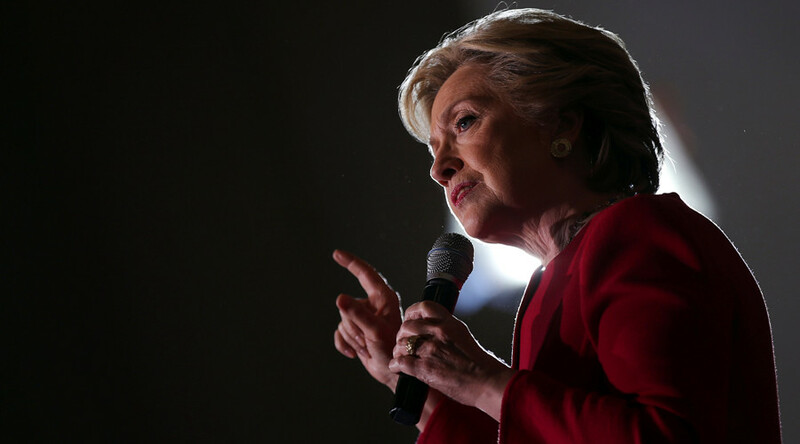 Clinton noted that the FBI had not yet contacted her with regard to this new information, and that therefore she was unaware what facts became known to the bureau that forced it to reopen the investigation against her. “We have not been contacted by anyone. First we knew about it is, I assume, when you knew about it, when this letter sent to Republican members of the House was released. So we don’t know the facts, which is why we are calling on the FBI to release all the information that it has,” she urged once more. Representative Bob Goodlatte (R-Virginia), chair of the House Judiciary Committee, praised the decision to reopen the case. Almost 15,000 new Clinton emails were discovered in September, but it's unclear if the announced investigation relates to them or other correspondence. The newly discovered emails are not related to Wikileaks or the Clinton Foundation, law enforcement sources told CNN’s Evan Perez. The messages were not found on the private email server in the Clintons’ New York residence, a government source told Reuters. The emails were apparently discovered as part of the sexting probe into former Representative Anthony Weiner (D-New York), the New York Times reported. His electronic devices, as well as those belonging to his wife, senior Clinton aide Huma Abedin, were seized during that investigation. Kellyanne Conway, Republican nominee Donald Trump’s campaign manager, applauded the decision. “That is superb. That is extraordinary news for the American people,” she told Yahoo News. "A great day in our campaign just got even better," she tweeted. “With that being said, the rest of my speech is going to be so boring. Should I even make the speech?” he joked before turning to his prepared remarks. An ‘October Surprise‘ is a major event that happens in the month before the election that affects the outcome of the vote. In response to the announcement, the Democratic Coalition Against Trump filed a complaint with the Department of Justice against Comey. Stocks fell after Comey’s announcement, CNBC reported.